Buy 40 or more for $5.69 each. Through the sacrament of baptism, God shows his love-the same love that claims us for his family, that sent Christ into the world to die for us; the same love that we show to one another. 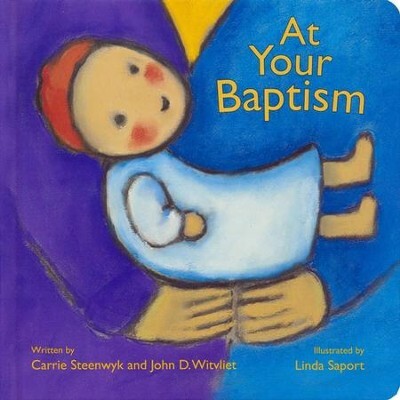 Using simple, clear text from the French Reformed Church liturgy and paired with vibrant illustrations and straightforward explanations on every page, At Your Baptism provides the perfect way to show young children how baptism is a sign of God's love and promises. Through the sacrament of baptism, God shows his love  the same love that claims us for his family, that sent Christ into the world to die for us; the same love that we show to one another. 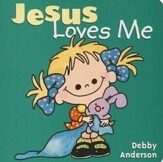 Using simple, clear text adapted from the French Reformed Church liturgy and paired with vibrant illustrations and straightforward explanations on every page, At Your Baptism provides the perfect way to show young children how baptism is a sign of God's love and promises. Carrie Steenwyk is the Project Manager for Publications atthe Calvin Institute of Christian Worship. Linda Saport has illustrated many distinctive picturebooks, among them Subira Subira (Clarion), BeforeYou Were Born (Eerdmans), and The Face at theWindow (Clarion), which earned the Americas Award. Herwork has also been exhibited in the Society of Illustratorsannual show. Linda Saport lives in Boulder, Colorado. " I'm the author/artist and I want to review At Your Baptism.